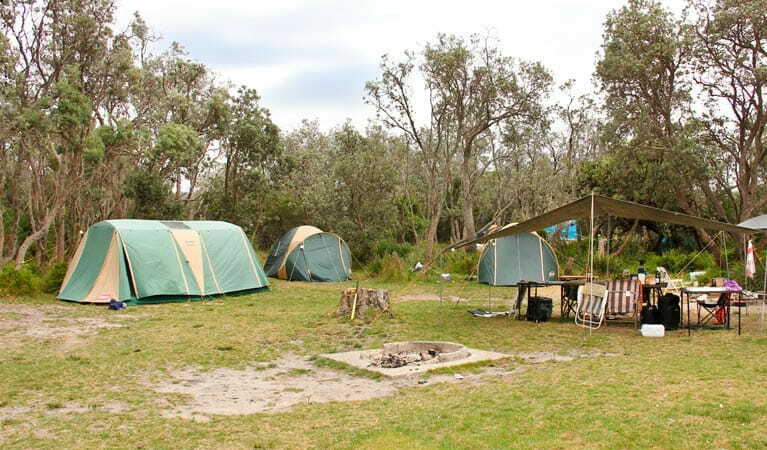 Camp by the beach and banksia trees at Picnic Point campground. 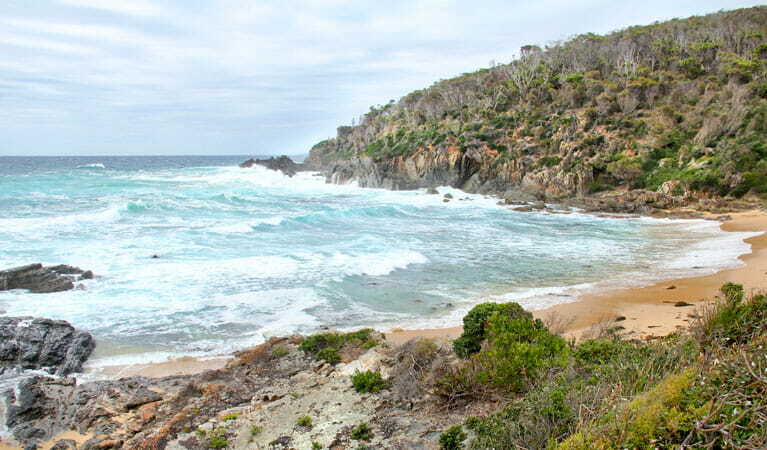 Find your favourite fishing spot; enjoy swimming and scenic views of the stunning Sapphire Coastline. $12 per adult per night. $6 per child per night. Payable on-site to an authorised collector. Bookings not required for this campground. Sites operate on a first-in first-served basis. Schools, educational institutions and large groups are required to obtain camping consent before their visit. Please apply to the NPWS office at least 3 months before the planned visit. All visitors are required to make themselves aware of the essential information, rules and regulations displayed at the entry to all campgrounds. Like the idea of basing yourself just steps away from your next catch? Then head to Picnic Point campground. 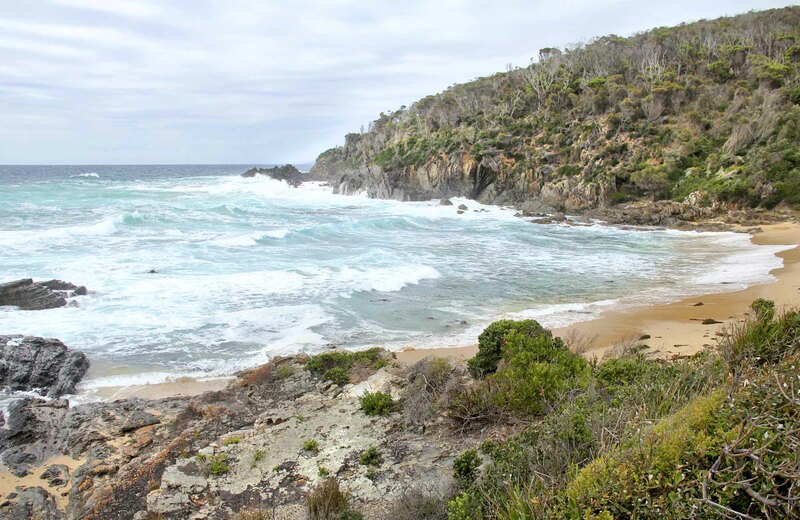 Nestled beside two beautiful sandy beaches, the campground is ideally located for beach fishing. 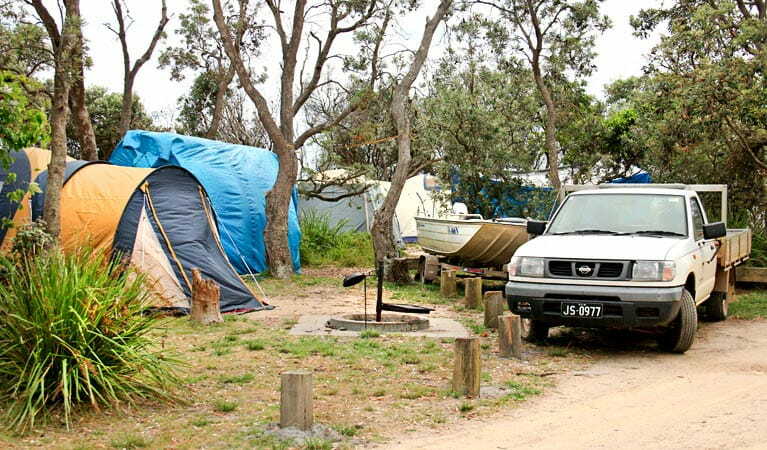 Choose your perfect campsite amongst the banksias, then grab your rod and see if you can hook some bream to barbecue back at the campground. Why not try a pretty coast walk or refresh with a dip in the ocean? 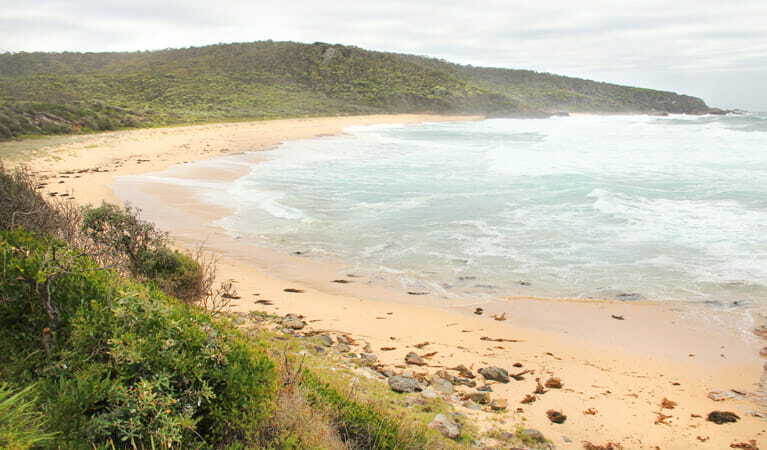 And don’t forget to do as the name suggests and enjoy a picnic on the point. At the end of the day, fall asleep to the sound of crashing waves and get ready to do it all again tomorrow.